Non-invasive and entirely safe, ultrasound imaging is a technique that produces images of the inside of the body, so your radiologist and doctor can see what may be going on beneath the surface. 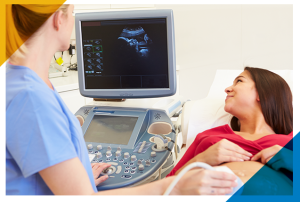 While ultrasounds are most commonly used to see and hear a baby inside the womb, they can be used for many other imaging needs such as abdominal and pelvic organs, thyroid glands, testes, breasts, and blood flow. The ultrasound machine produces high-frequency sound waves which bounce off of structures inside the body, returning to the machine to produce an image of what is there. The machine consists of a hand-held wand called a transducer, which transmits and receives the ultrasound waves, and a computer which processes the images in real time, as they are read by the transducer. Because the computer processes images in real time, you and your radiologist are able to see movement, if any is present. Because an ultrasound machine produces sound waves instead of light radiation, it is a completely safe option for imaging, but it may not be as clear as an MRI or CAT scan. The type of imaging technique needed for your specific case will be determined by your doctor. 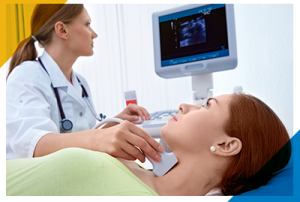 At your ultrasound appointment with your radiologist, we will ask you a few initial questions and make sure you are comfortable with the process before we begin. You will be sitting or lying on one of our exam tables and the technician will place a clear gel on the area we are going to examine. This gel works to eliminate any air between the transducer and your skin, so we can get a clearer picture. The transducer is then pressed to your skin, on top of the gel, and moved around the area to get a full picture. The entire process should take from 15 to 30 minutes and is virtually painless. You may feel some pressure with the transducer against your skin, and if you are required to have a full bladder for the exam then you may feel some discomfort. After the exam, you are free to return to your daily activities. 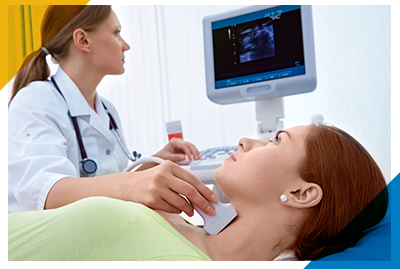 In many cases, you will not need to prepare before your ultrasound. However, if the ultrasound is for your abdomen or your pelvic area, your doctor or radiologist may instruct you to abstain from food and drink up to 12 hours prior to the exam to have a clearer picture of the area in question. In addition, your radiologist may request that you drink a certain amount of water and avoid urination so your bladder can be full for the exam. 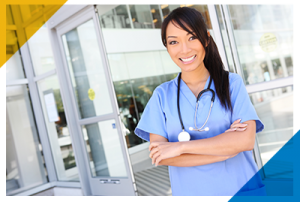 You should wear comfortable and loose-fitting clothing to your appointment, although your radiologist may ask you to change into a hospital gown. 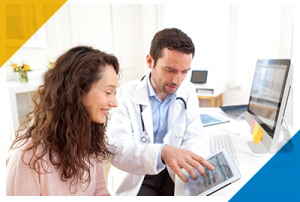 After the exam is complete, your radiologist will evaluate your results and send them to your doctor so he or she can review your results with you. 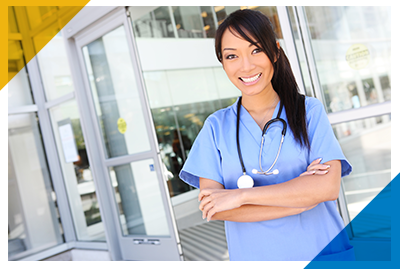 If there is an immediate need, your radiologist will call your doctor immediately to discuss the results. At Lucien, our radiologists are happy to provide one-on-one consultations with you either before or after your procedure, just contact us to schedule yours today!